When it comes to your home’s energy usage, many options exist to help you cut costs while maintaining a comfortable home. North Carolina’s Touchstone Energy cooperatives offer the following home energy resource guide so that you can make well-informed decisions that benefit your family. Set the thermostat at 68 degrees or the lowest temperature you find comfortable. For every degree you lower the thermostat, you can gain as much as a three percent savings in energy costs. Clean your system's filters periodically. A dirty system deteriorates performance and increases operating time. Filters should be changed every one to three months. Use a programmable thermostat, which saves you money by consistently turning up the thermostat when you’re away. You may set different temperatures for your home depending on whether you’re at work, at home, or in bed at night. Clean air registers, baseboard heaters and radiators as needed. Keep heat vents open and unobstructed. Place heat resistant radiator reflectors between exterior walls and the radiators. Check the insulation in your attic, ceilings, floors, exterior and basement walls or crawlspace to make sure it’s at recommended levels for your area. If it’s not adequate, have insulation professionally installed. Insulate heating ducts to prevent heat loss. Insulating the hot water heater and hot water pipes can also provide significant energy savings. Keep heated air inside the home. Caulk and weather strip around doors and windows, close the fireplace damper and fill holes and gaps where wiring and pipes enter the house. Use kitchen, bath and other ventilation fans only as long as needed. In just one hour, these fans can pull out a houseful of warmed air. Maintain your equipment to prevent problems. To keep your system at peak performance, maintenance should be done annually by a professional. Select energy-efficient equipment when you buy new heating and cooling equipment. Look for the Energy Star label. Keep draperies and shades on your south-facing windows open during the day to allow sunlight into your home. If you have a gas or oil furnace, consider adding a high efficiency heat pump. It could save you a substantial amount in heating (and cooling) costs. By implementing these tips, you can keep your house warm and save money on your heating costs. Your heating equipment is 10 years old or more. New Energy Star labeled equipment uses 25 to 40 percent less energy than typical 10-year-old models. Your equipment needs frequent repairs and your bills are increasing. Your system turns on and off frequently. This can indicate that your heating system is not the right size. Some of your rooms are too hot or too cold. Improper equipment operation or duct problems could be the cause. Your home has excessive dust. Leaky ducts can pull particles and air from attics and crawlspaces. Sealing your ducts could be a solution. Visit www.energystar.gov/coolchange to see if there are special deals or financing on Energy Star labeled products available from retailers, utilities or manufacturers in your area. Make sure your contractor completes the following 10-point maintenance checklist: 1. 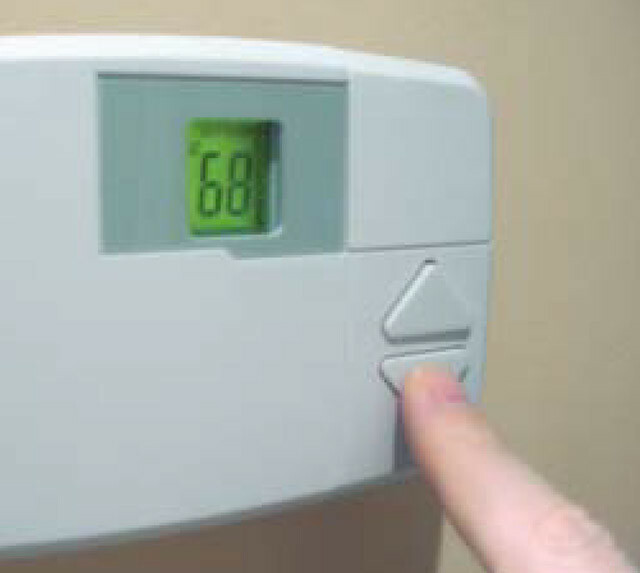 Check thermostat settings to ensure the system turns on and off at the right temperature. 2. Lubricate all moving parts. 3. Tighten all electrical connections and measure voltage and current on motors. 4. Check controls of the system to ensure proper and safe operation. 5. Ask your service technician how to change filters and how to clean your outdoor coil. The filters should be changed every one to three months and the outdoor coil should be cleaned every year. 6. Check all gas or oil connections, gas pressure, burner combustion and heat exchanger. Improperly operating gas (or oil) connections are a fire hazard and can contribute to health problems. A dirty burner or cracked heat exchanger causes improper burner operation. Either can cause the equipment to operate less safely or efficiently. Electric air source heat pumps, often used in moderate climates, use the difference between outdoor air temperatures and indoor air temperatures to heat (or cool) your home. Energy Star qualified heat pumps have a higher seasonal energy efficiency rating (SEER) and heating seasonal performance factor (HSPF) than standard models, which makes them about 20 percent more efficient than standard new models and about 20-50 percent more efficient than what you may have in your home. Though these products can be more expensive to purchase up front, the cost difference will be paid back over time through lower energy bills. When buying new equipment, sizing and installation are as important as product quality. Make sure to find a good contractor. Programmable thermostats automatically adjust your home’s temperature settings, allowing you to save energy while you’re away or sleeping. These thermostats are more convenient and accurate than manual thermostats and they contain no mercury. They can save you money on your electric bills. If you are like many homeowners and work outside the home during the day and have a different schedule on the weekend, a programmable thermostat can offer many benefits. The return on your investment is usually seen within one year. SEER measures how efficiently a residential central cooling system (air conditioner or heat pump) will operate over an entire cooling season, as opposed to a single outdoor temperature. A higher SEER reflects a more efficient cooling system. SEER is calculated based on the total amount of cooling (in Btu) the system will provide over the entire season divided by the total number of watt-hours it will consume. By federal law, every central split cooling system manufactured or sold in the U.S. today must have a seasonal energy efficiency ratio of at least 10.0. HSPF is the measurement of how efficiently all residential and some commercial heat pumps will operate in their heating mode over an entire normal heating season. The higher the HSPF, the more efficient the system. HSPF is determined by dividing the total number of Btu of heat produced over the heating season by the total number of watt-hours of electricity that is required to produce that heat.